Last Tuesday night, I spotted a bunch of flashing lights on my way home. 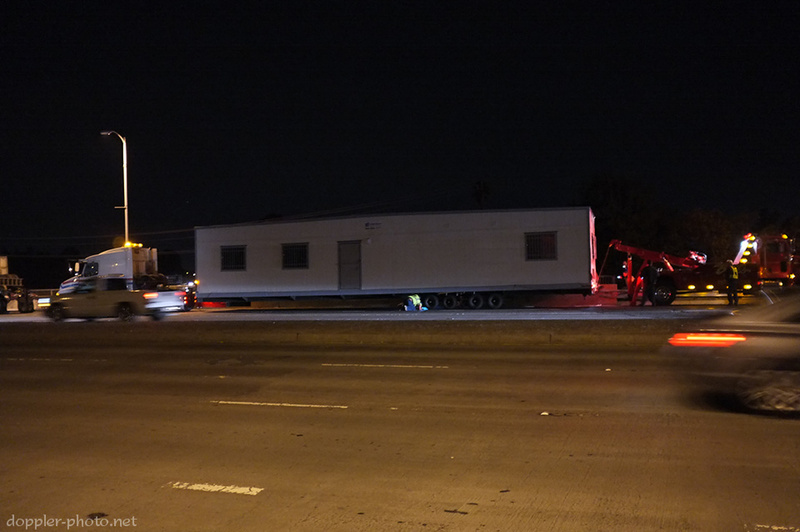 The truck driver towing a 60-foot office trailer hadn't taken a turn wide enough and ended up damaging 60 feet of guardrail and significantly damaging three or four of the axles supporting the office. When I arrived, the trucking company was in the process of repairing or replacing the axles under the trailer. Above, a tow truck (center, facing the camera) uses a cable to lift the rear end of the disabled trailer and shift it away from the guardrail. 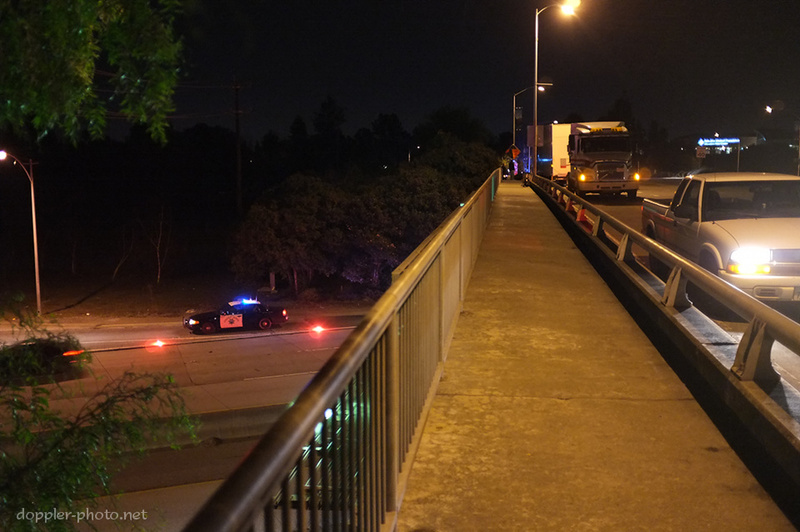 A CHP car directs traffic away from the closed offramp. 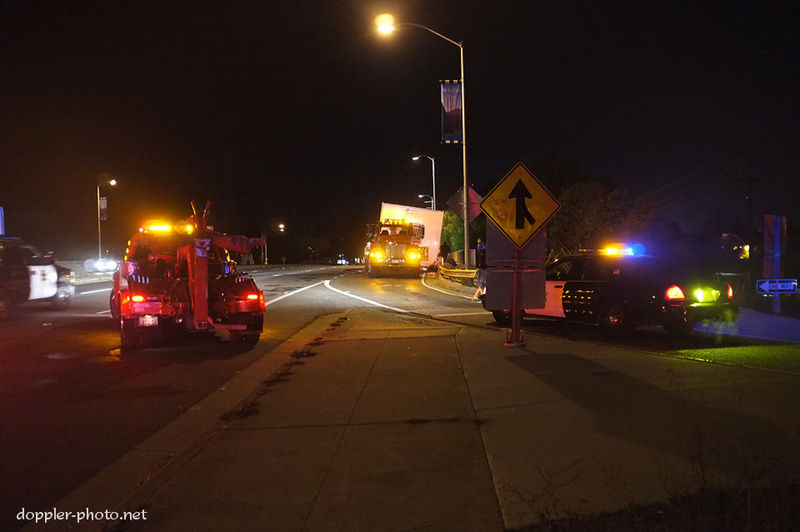 The offramp was subsequently reopened once the tow trucks had left (and as the trucking company continued to work). A worker watches under the trailer as the tow truck operator (right) uses his truck to maneuver the rear of the trailer.